For several years now Scorpion has been tapped by Hollywood as the go to experts for help with technical advice, script development and research on cyber security, hacking, Virtual Reality, cutting edge weapons, systems, military scenarios, vehicles and props. Scorpion have been able to provide their experts on demand often within 48 hours from areas as diverse as Nuclear Energy, Prison Administration, Air Force, NASA, SWAT, Navy Seals, private military contractors and the Army core of engineers. This provides the writers with a smorgasbord of cool ideas, gadgets and superpowers to pull from for their stories and character development and saves months of research time. 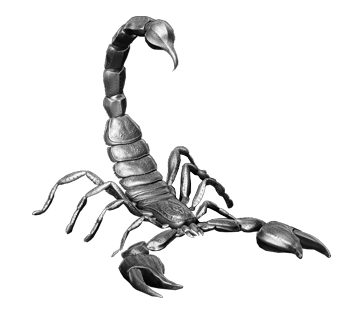 Scorpion Studios will focus on the entertainment business sector, as separate from the other Scorpion family of businesses; ScorpionComputerServices.com that serves Government, Military and the Fortune 1000 Companies and ConciergeUp.com that serves funded problems for the general public. See News For Scorpion Studios Inc.